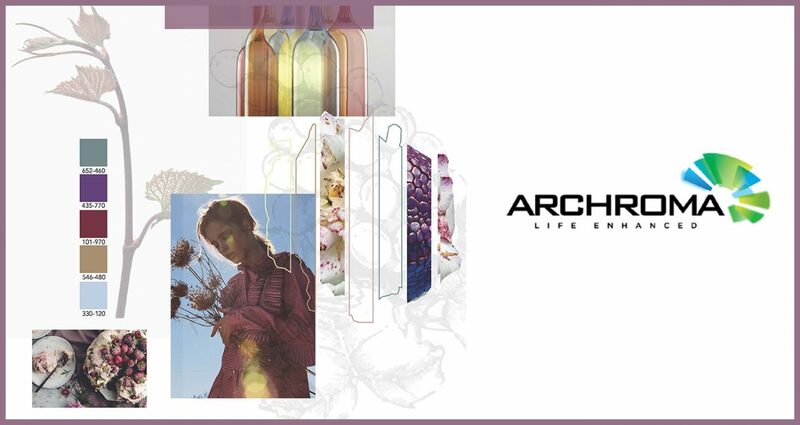 13 September 2018, Reinach, Switzerland : Archroma, a global leader in color and specialty chemicals with approximately 3000 employees over 35 countries, works with brands such as American Eagle Outfitters, Athleta, Express and Lands’ End. The company aims to provide a cleaner and more sustainable industry through innovative chemical and industrial processes. Archroma will be presenting its innovative color palette for the textile industry, the ‘Color Atlas by Archroma®’, which contains more than 4,300 colors on cotton poplin, and an online version compatible with mobile tools. The company recently announced a partnership with Carlin, the world’s first trend office founded in 1947. The agreement aims to promote the use of Archroma’s exclusive color inspiration tools for fashion designers and stylists in France. Carlin and Archroma will be neighbors at the show, allowing visitors to benefit from immediate access to the expertise of both companies. Archroma will also present a color inspiration booklet created with Annflor Sangan, a member of the French consultation for the Première Vision exhibition. The booklet presents Autumn-Winter 2019-2020 trends inspired by a visit in Châteauneuf-du-Pape, the former resort of the popes in Avignon, where Provence wines of exception are produced. “Color Atlas is now an essential and inspirational reference that gives creatives options that they had never dreamed of,” says Chris Hipps, Head of Archroma Color Management Services. “Our most recent collaborations are a testimonial to just that”, he adds. Under the terms of its collaboration with Archroma, Carlin will use the ‘Color Atlas by Archroma®’ color references in the Carlin’s 16 publications per year, including the InMouv trend books. Carlin will also use the Color Atlas during its color workshops, and Carlin and Archroma will organize regular conferences and events for fashion brands in Paris and other major French cities. Carlin has announced an event in collaboration with Archroma themed “Color Thinking” that will take place during Premiere Vision. Annflor Sangan fell in love with the possibilities of the Color Atlas by Archroma®. She unveils the 2019-2020 Autumn-Winter trends, which were inspired by Châteauneuf-du-Pape and its majestic sceneries. “On the road to the Vaucluse region, the winter symphony of blood reds spiced up with the crimson shades of beautiful vines, the cardinal purple and the greens of the branches contrast with delicate beiges. I have been able to show all these colors with the Color Atlas of Archroma”, she explains. A mobile-friendly online version with ‘on-the-go’ features to capture an inspiring image: Us a smartphone and immediately identify the closest Color Atlas shade palette, with the possibility to purchase a color sample online instantly.